Guidelines for Materials used with Carvey – Make It! Create It! Learn It! The Pierre Berton Resource Library will allow customers to bring in their own materials to use with the Carvey Machine. We hope that by implementing this change it will encourage greater access and use of the Carvey Machine. Any type of Plywood including Bamboo, Birch, Oak, and Cherry. 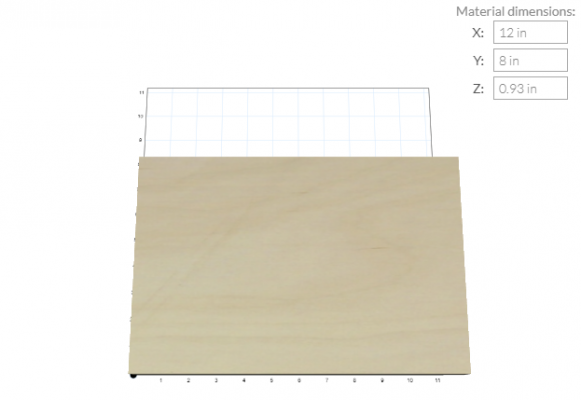 The Carvey machine has a workspace of 11.5 inches x 7.5 inches; please keep this in mind when choosing materials. Please note that the maximum depth the machine can cut or engrave is 0.45 inches. Customers will still be required to take the proper certification course. Vaughan Public Libraries will not be held responsible for any damage or modifications caused to the material. Customers must also be present in the branch when their respective Carvey project is being made using their own materials. If Vaughan Public Library materials are used for the design, customers do not have to be present when their Carvey project is being made. Please inform the Digital Creation Specialist beforehand if you would like to customize the machine cut settings (i.e. feed rate, plunge rate and depth per pass).